I asked this question recently on social media. Today, I'll share the results of what my little survey found and how people feel about this topic. I will admit that the results did surprise me just a little bit as far as how willing people are to leave the AC on for their pets when they aren't home. So what drove me to ask this question in the first place? One day a few weeks ago, my family and I were going to go swimming for an afternoon. I got all of our stuff ready, made sure all the pets had food and water, and adjusted the thermostats on our AC window units accordingly. We live with my father, and he is always turning the AC off in order to save energy. (I was curious to know if a lot of other people were like this, or if it was just him.) I waited outside for the rest of my family while my youngest daughter played on her swing set. My oldest daughter forgot something and ran back inside. When she came back, we were ready to go swimming! We weren't gone all day, just a few hours and made the trip back home in the late afternoon. While driving home I was talking to my boyfriend when he mentioned that "it's going to be hot in the bedroom". I snapped my head over to him and asked "why?!". 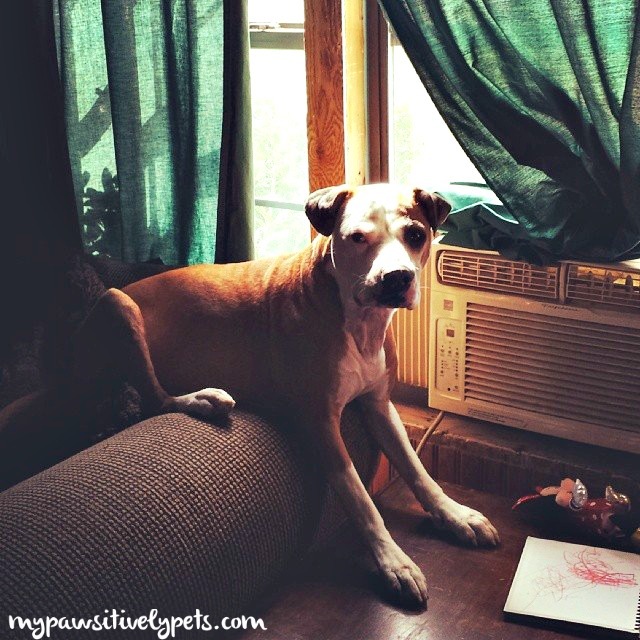 Shiner's favorite spot to sit is the window seat by the AC window unit. He said he had turned the AC off. What?! There are animals in there and it's hot! At first, I wanted to panic but I stayed calm because panicking never helps. Apparently, my father had told my oldest daughter to make sure we turn off the AC before we left. I had never planned on turning it off. I could tell the boyfriend felt bad about it and I don't think he'll make the same mistake again. And I've also used the opportunity to educate my 10 year old daughter on the matter. I think it was just poor overall communication between all of us. When we got home, everyone was fine and I refilled water bowls and turned the AC back on. And yes, it was hot in the house. 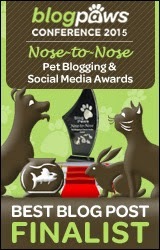 This event was what prompted me to ask the question - should you leave the AC on for your pets when you aren't home? 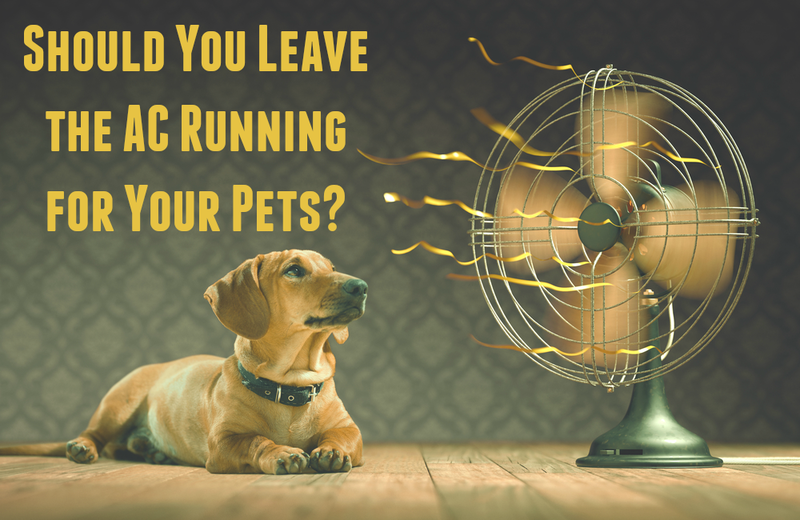 Survey Results - How many people leave their AC running for their pets in their home? 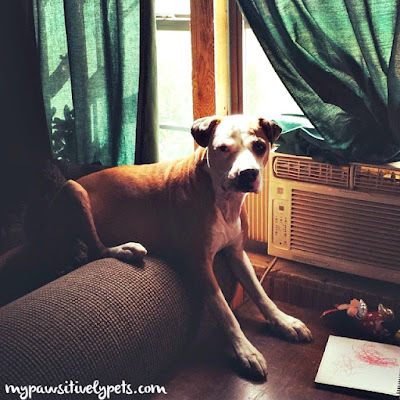 When I asked this question on Social Media, I had an outpouring of pet parents claim that they would without a doubt leave the air conditioner running for their pets. I compiled all the results into a graphic. There are a lot of factors that I think are important to consider when asking this question. Things like geographical location and whether or not a person actually has an air conditioner. While it's hard to imagine not having an air conditioner for some of us, I've been there myself quite recently. As a rule of thumb, if your pet is used to living in a certain temperature, then it only makes sense that you should leave your home at that temperature for them when you aren't home. Or at least a temperature that is close to it. I know we like conserving energy and money, but why should our pets sit in a hotter than usual home just because we aren't there with them? Plus, there is the added risk of heat exhaustion and that is a scary thing. Many people opt to turn their thermostat up as a way to conserve energy or save money when they leave the house. I do this in my own home. For the inside of the house where the cat stays while I'm gone, I put the thermostat at 75 degrees farenheit. For my bedroom where the dog and rats stay, I don't change anything. That AC window unit doesn't work the best, so I feel like I should just keep it where it's at. And the few people who do not have air conditioners in their home admitted to at least using fans or opening windows claiming that "if they had AC, they would turn it on for their pets while they were away from home". A little bit of air circulation can make a big difference. Especially if you are without AC in the Summer. 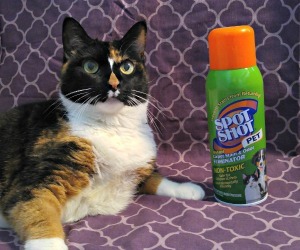 How can you help your pet stay cool? Always leave plenty of fresh water for your pet to drink. You can add ice cubes to make it even cooler. For small pets (like my pet rats), place frozen water bottles wrapped in towels in their cage. Your small pet will lay next to them and the water bottles will help cool them. Get a cooling mat for your pet. I've never used one of these things, but they seem helpful. Leave a frozen treat for your dog. I've heard of some people doing this before. They will stuff a KONG with whatever they want, freeze it, and leave it for their dog while they are gone. It keeps the dog occupied and it's a nice way to stay cool too. Of course, use your best judgment if you do this. Some toys and treats are only meant to be given with human supervision. 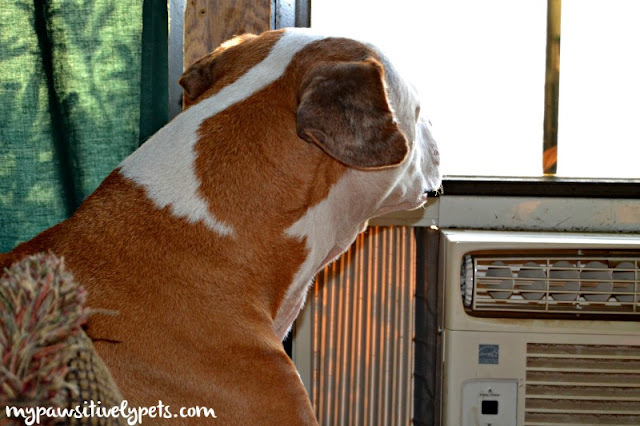 Do you leave the AC on for your pet when you leave home? How do you make sure they stay cool in the Summer? So interesting to see the results of your survey. Though we have central ai and I don't adjust it down when we leave the house, even if we had window units I wouldn't adjust them down (or at least not by much at all.) I remember reading somewhere that it takes much more energy to cool a room/house when you do that. Plus, my pets are used to AC, so I keep it comfortable for them. That's a good point Sue about how it takes more energy to cool a room when the temperature is turned up. I believe I've heard that also, but didn't think about that. I love this question, I'd never thought much about what other people do and whether or not I fit into the "norm." I feel so lucky to be able to have our ac on all the time during the summer - it's something I decided to save up for after living in many places without it. It can get really miserable here in Michigan during the summer, and on the plus side we only have to run the ac for one season. Lately when we've come in from being outside Laika sprawls out on the tiled floor in the kitchen - I know she get's really hot and it's nice to know she'll be comfortable when we're not home. It seems like our AC is always running almost year round. The one in my bedroom has stopped working so good these past few days unfortunately. I'm just glad that it's a "mild" Summer so far and we have seen 100 degree days yet. We always leave the AC on when we are gone! Having animals aside, my dad works in the HVAC business and has told me that when you turn your AC off or way up thinking that you are conserving energy, it actually makes the AC unit work that much harder to cool the house down when you turn the AC back on - making it pointless to turn the AC off, and sometimes making things even more expensive than if you had just left your AC on to begin with. We keep the both the upstairs downstairs AC units on 75 in the summer, but we turn the upstairs unit down to 73 at night when we go to bed. And we always leave things on 75 when we are not home or when we go away for the weekend or something. Gotta keep those kitties comfortable! Oh awesome! Thank you for sharing this! I do remember hearing this before, but it definitely slipped my mind. (And I'm not an HVAC person, so what do I know about heating and cooling? lol) It definitely makes sense though. Great post! I also ALWAYS leave the air on. We have central air (which I think is different than a window unit in how it functions, but I am not sure)....with central air, if the outdoor temperature drops too low or the indoor temp drops below where you have it set, it will AUTOMATICALLY CLICK OFF. I used to think I had to turn it off to save money but that is not true. It will only click on when the internal temp goes past what it is set at. I am not sure if window units are the same. I just read what Kitty Cat Chronicles said and I was basically told the same thing. It puts more stress on the unit having to keep cooling off from a higher temp. I don't really know much of the difference between the two either. I know the window units will not click off, unless I put them on a certain setting. Right now, it's too hot for that setting so they are just set to a constant "on". My dad likes to turn the living room AC off at night, which seems OK because it's still cool in there when I turn it on in the mornings. He's just always on that damn thing lol. Great post! we always leave the air conditioner on for the boys. In fact it just broke today and my husband took off work to fix it so the dogs won't get too hot! We're lucky that we have a basement that stays nice and cool but after a few days without the air it starts to get muggy. I do turn it up when we leave and at night. Oh no! Hope you are able to get it fixed quickly. No AC is no fun.. it would be nice to have a basement. I've heard that they stay very cool. Omg yes, I always leave the air on for the pets when I leave!!!! Heck, I never turn the AC off unless it gets super cold in here hahaha!!! 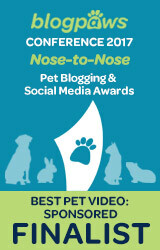 I love your infographic Ann, well done! Thank you! I also don't turn it off unless it gets cold in here. But right now, that's almost never. The peeps just set it and forget it and it's always nice and comfy! I lived without AC for many years in the main part of my home. There was one summer when we had something like over 60 days in a row of 100+ degree temperatures. That was miserable! I am fortunate to live in a place where I do not have to worry about closing my windows when I leave home. I guess that's not really an option for everyone who might live in a neighborhood or something. Absolutely leave it on! I can't imagine not having it on for my furchild. I even think that I should use a fan in the event that a/c goes out. :) We have ceiling fans but they can't blow right on Titan. Now with the newest addition to our home, again, absolutely! I wouldn't dare think of turning it off. Same goes for the heater. Whatever temps are good for me, are good for them. Interesting post, Ann. Passing it along! Oh that's a nice back-up plan Bren. Didn't think of that one! Thank you! Great post! I have 3 huskies living in NC, I have to keep my AC on! I can't imagine how miserable they would be if I turned it off during the day, even for a few ours. Besides, I don't think turning it completely off saves energy because it will take so much more energy to get it back to a comfortable temperature in the heat of the day. We have 1 window unit that I turn on before 9am to make sure that room is adequately cooled it has the most windows. With temperatures above 100 here for the past month + humidity...we all need the AC! Thanks! I agree that it would be pretty miserable sitting in a house with no air circulation. I know I wouldn't enjoy it. Well, here in Florida if you don't have air conditioning, you will melt into the floor tile! Trust us, we know since a few weeks back our central a/c broke and it took a week to fix. It was 91 in the house. Terrible. Our power company recommends setting your thermostat at 78 and leaving it there. It is so much more work for your a/c unit (never mind your wallet) to keep adjusting the temperature all the time. So, Corky (the parrot) and I live in 78 degrees - it is cool enough to be comfortable yet affordable, since we run the a/c for like 9-10 months of the year. Interesting. I feel your pain. We lived like that for much longer than a week, and I suspect it got hotter than 91 in the house when we didn't have air conditioner. I imagine it's been about 78 in my bedroom these past few days. AC is not cooling well right now. It's doable, for sure, but still feels a little warm! I would totally leave the air on for my pets if we had a/c. We live in Oregon and most places don't have it, although now that it's warming up here you see more of them. When we lived in California and were gone for the day I was SO mad at my inlaw's for turning the air off in our room with the dogs in there. It was 90 degrees in there when we got back! We would leave it on if we had it also. We live in Wyoming where the temps are usually bearable in the house and there is a breeze. We leave the TV on for the dogs when we are gone so they have company, so to speak. They don't really WATCH but they do gather around it. More important to keep them happy and comfortable. I think that's a cool idea :) Shiner has never really thought much of the TV in her lifetime. If Mom would have it on if she was home, then she leaves it on for us. Sometimes she turns it up to 78 rather than 74, but it is still better than nothing. More than anything, around here it is to get rid of the humidity. That temperature adjustment doesn't seem bad. It's not that much different than what you guys are used to anyways. Humidity is no fun ! Whether I leave the air on or not depends on how hot it is or will be. If it's going to be a hot day, the air goes on...and stays on. Yea, I know you guys live in an area where the temperatures are probably cooler. But good for you leaving it on when it's hot! I don't leave the AC on. I'm quite paranoid about leaving any electronics, even the slow cooker, on while I'm not home. The house is so old, too. The basement is cool during the day, and when I come home I do see Bain has been messing around with the blankets down there. Kisa, my cat, also has a cool space to hang out in the house as well. However, it'd be different if I lived in an apartment instead of a 2 level home. I live in an old house too, and have had plugs randomly explode so I am also kind of paranoid about that. I wish we had a basement. They stay so cool. You guys live way up north and I'm sure it's not super hot there. Yes, we do too, though we do turn it up a tad bit when we're gone. But not so that it's dangerous or too uncomfortable for them. Thankfully, as you mentioned it's been a mild summer - and we do have a cool basement for the cats to escape to - and underground like that, it always remains cool! I am jealous of the basement! My Great Grandma's house in Arkansas had a basement and it was always cold down there. Would have been great to hang out in during the summer. I would never leave my Myrka (an 11-year-old Pomeranian girl), without AC when it's hot outside. The other day, my husband forgot to turn it on and when he came back, Myrka was panting a little. I was a little upset when he told me what happened. I can tell you that he will never forget the AC again. Glad that Myrka is OK! I am also pretty sure my boyfriend will not turn the AC off again either. I guess that we live and learn. A lot of people have commented that this is just something people should automatically know, but truth is that some don't. Hopefully this will encourage people to be mindful of their pets when it's hot! Depending on how hot it is, I'll leave the air conditioner in the bedroom on a timer. I do this when I go away in the summer as well, so I don't have to worry about them. Lexy loves the AC! When I turn on the one in the living room she jumps up on the chair or the cat tree and puts her head up in the air to feel the coolness. Aw that's cute! Callie does seem to like to lay near the AC too. But I'm not sure if it's because she likes it or if it's the box that she likes to lay on! This is the first year that we had AC; it was never necessary in Western WA - we would only have a week or 2 of hot weather that made us beg for AC and then it was over. We have 2 units and we don't leave the AC on in the house, because although mid to upper 80s (and 2-3 days of low 90s) is hot for us, it's manageable. We get up early in the mornings, opening all windows and put fans in front of the windows to cool the house down to 65 degrees. Then the windows/blinds are closed and the house will stay cool for most of the day - by the time it starts heating up, we're home and can turn on the AC to get the temp down. The only issue we have is my boyfriend likes to get the temps to arctic levels and tell me to put on the sweater. I'm concerned about our electric bill. We're finding a balance. Gorgeous infographic. What did you use to create it? Canva? I've heard it's been unusually hot in that part of the US this year. You are right about upper 80s being manageable. Back when I lived without AC, I would be begging for those temperatures during our 100 degree days! My dad turns the AC off at night, and it will stay cool enough in the house until about noon or so. And thank you! Yes - it was made with Canva. We do leave our air on for our dogs. Always have. We live in the south so it gets pretty toasty down here and we have an English Bulldog and she really needs to be cool. Since she pretty much rules the house we have to keep her comfortable! Well, I know how toasty it is down here (Texas). And the Bulldog definitely needs to stay cool! I mostly worry about my rats when I'm away from home. Sometimes they look a bit toasty even when the air is running. Our AC unit is regulated by a timer. We have two units and they are programmed based on our activities. For instance. During the week it is cooler on the first floor during the day because that's where we are most of the time. The upstairs unit is on, but not as cool - saving energy and $$. At night it's the exact opposite because after dinner we usually retire to the upper level. But the air in some fashion is always on. Well, I like that plan Cathy. Very practical! I wish I were able to do something like that in my home, but we have the AC window units which are a whole other story I guess. We use a ceiling fan instead AC. It's energy saving and keeps the temperature under control.